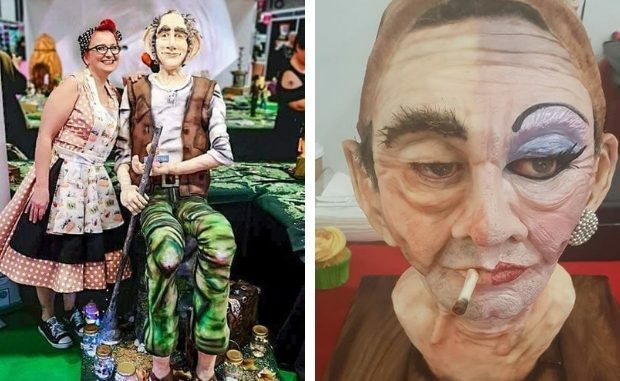 Thirty kilos of fondant, another 30 kilos of modelling chocolate and around 50 eggs were just some of the ingredients used by a Westgate cakemaker to create a towering 6ft BFG (Big Friendly Giant) to go on show at a prestigious cake show this month. 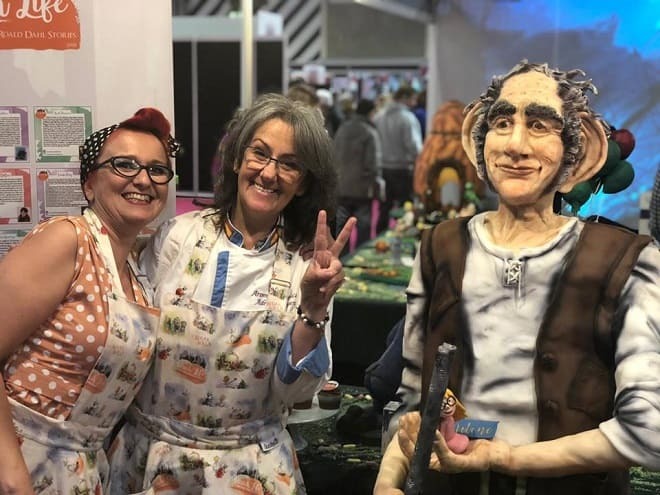 Nicola Bradshaw, who runs the Little Brown Fairy Cake company, created the huge Roald Dahl cake after being invited to be one of just a handful of people displaying a major work at the Cake International event at the Birmigham NEC. The ‘Chelsea Flower Show’ of the cake world attracts some 2,000 participants from across the globe. 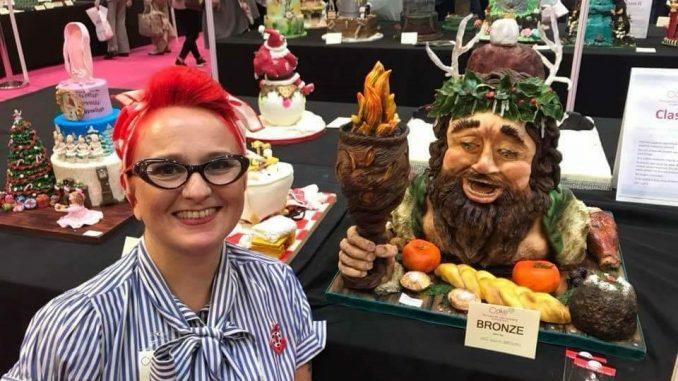 Nicola, 49, took a bronze medal last year for her amazing Christmas Carol cake, which was donated to Pilgrims Hospices. This year she scooped silver for her disgruntled drag queen cake -Bob – but also became the centre of attention with the BFG who was part of a Roald Dahl ‘Peach Life’ feature. Nicola said: “It is very competitive and everything is of a very high standard. The BFG had a sponge cake body, Rice Crispie treat shoulders and legs and his toes and skin were modelling chocolate. Transport was another issue with Nicola and husband David hiring a man and van to get the BFG safely to Birmingham. Unfortunately at the end of the show BFG met a tragic demise. Nicola is now planning for next year’s cake show and hints that it will be another spectacular feature but says we will have to wait and see what it is.